When I was growing up we used to go to North Wales for our family holidays most years. There were some fascinating signals, but the photography I did was quite sporadic back then. I have, however, been able to pull together this eclectic collection of the photos that I did take before it was all too late. 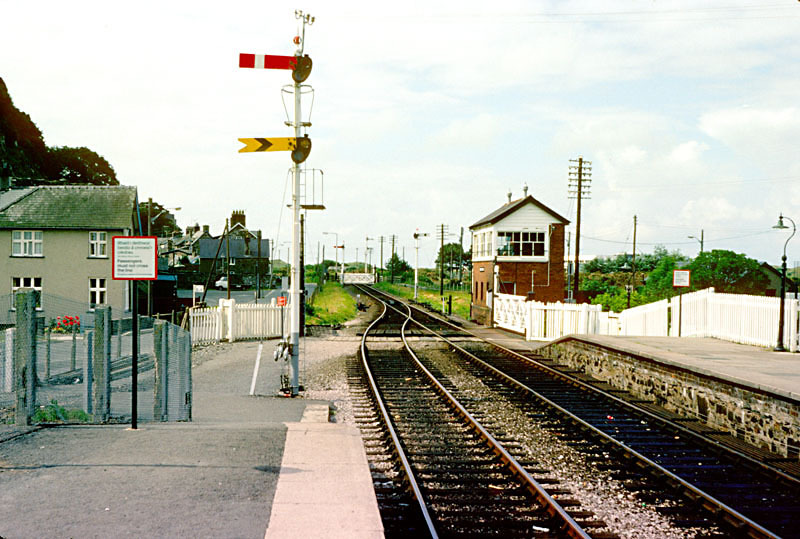 The view from the station towards Caersws. 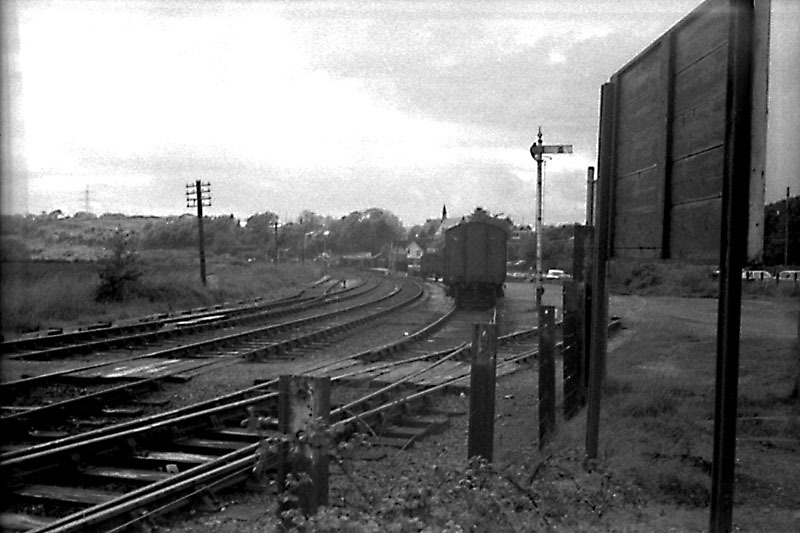 At this stage there was still a bay platform line and several sidings. 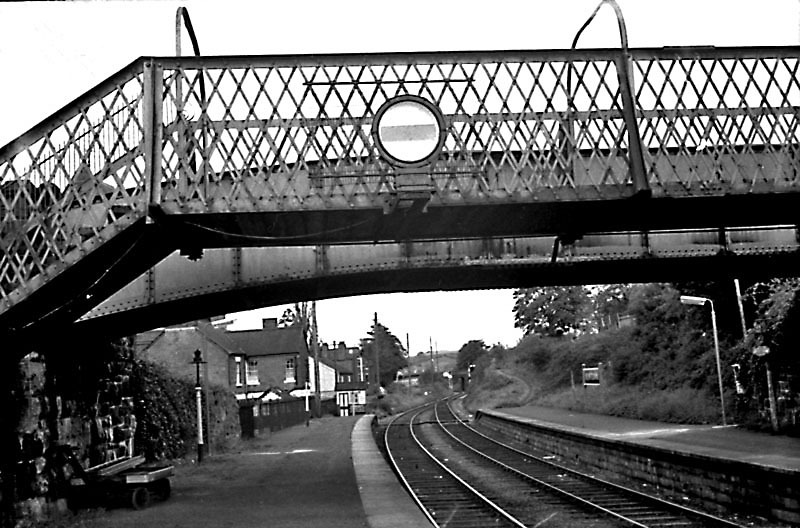 The view back in the opposite direction, through the station towards Welshpool. 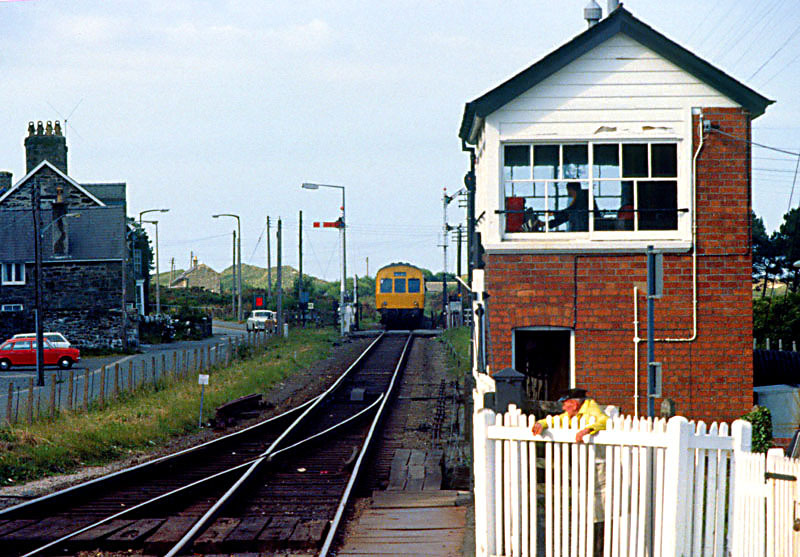 This nice ex-GWR bay starting signal controlled departures from the down bay platform. 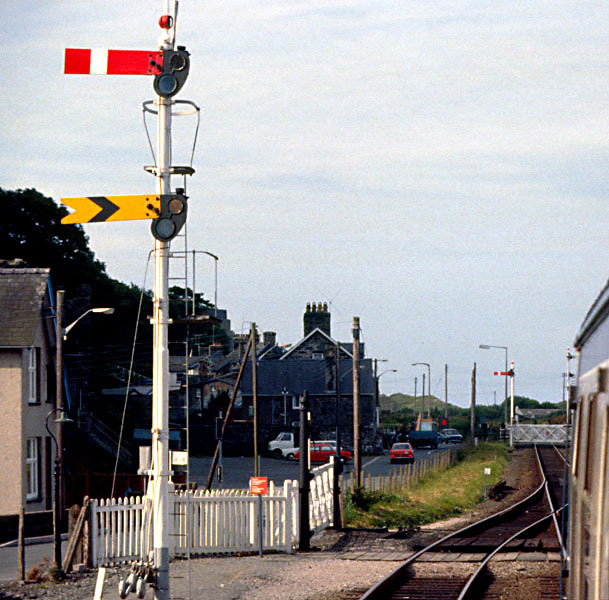 By 1984, the down sidings had gone. 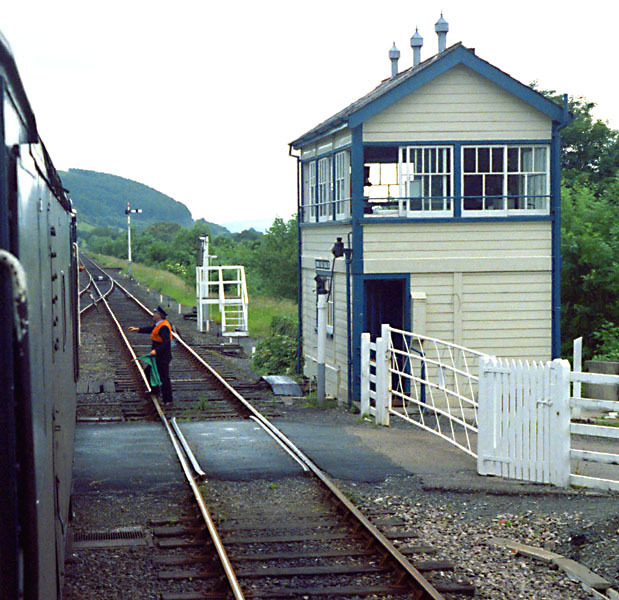 On the right is the down starter, as we approach the signalbox and station. 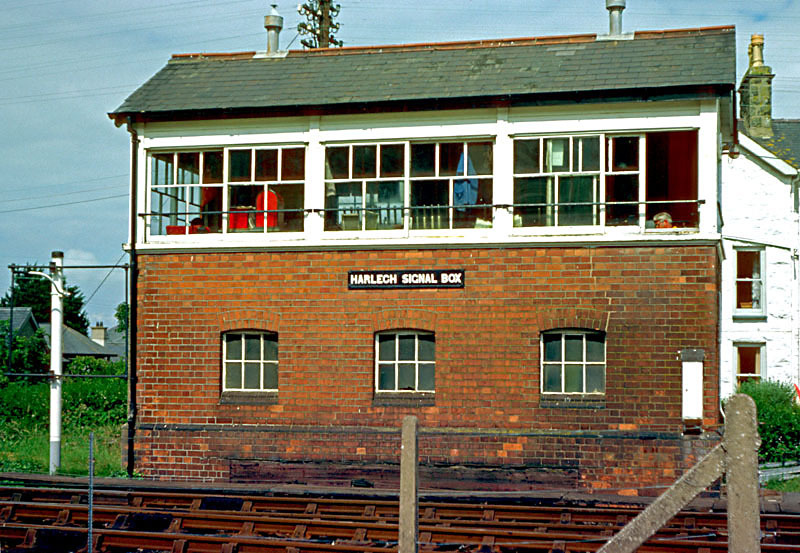 The signalbox, with the down platform beyond. 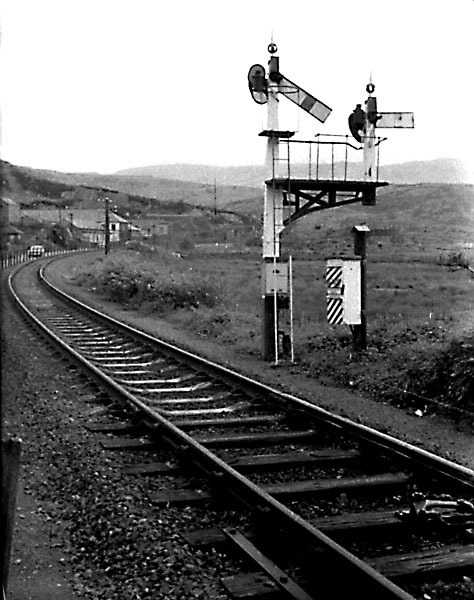 Before the Radio Electronic Token Block was introduced, there was also a crossing loop at Cemmes Road, between Talerddig and Machynlleth. Here we are crossing an up train. 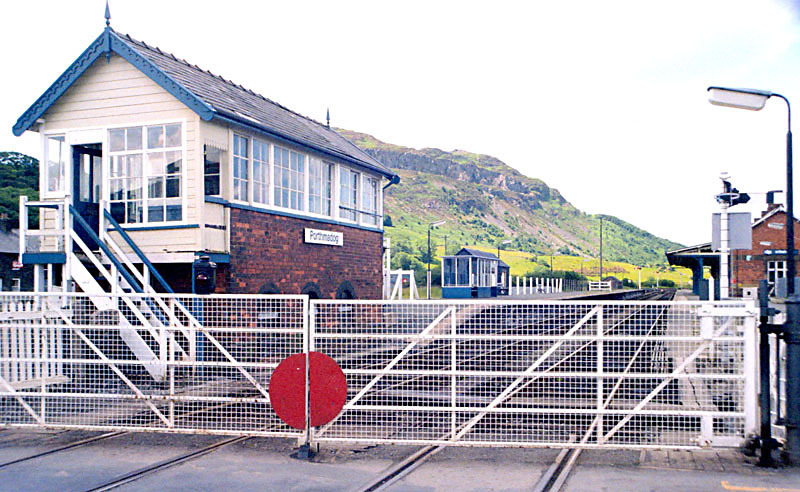 The signalman hands our driver the token to Machynlleth. 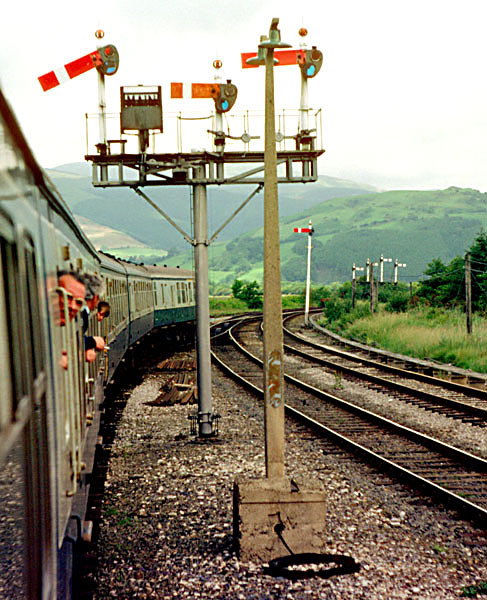 The calling-on signal is lowered to allow my train into the up platform, to couple onto the train from Aberystwyth. The up advanced starter (facing) and down outerhome (above). 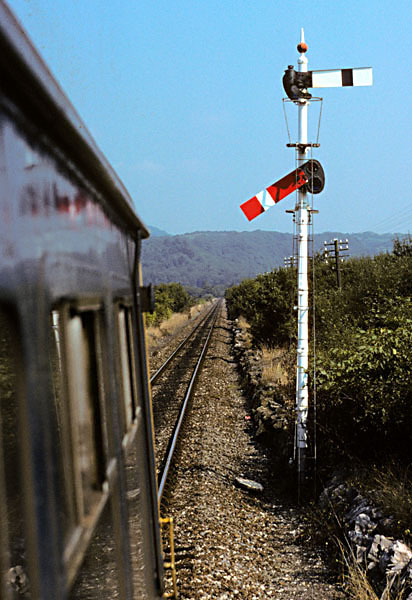 Signals with arms for opposite directions on the same post were not uncommon on the Cambrian. 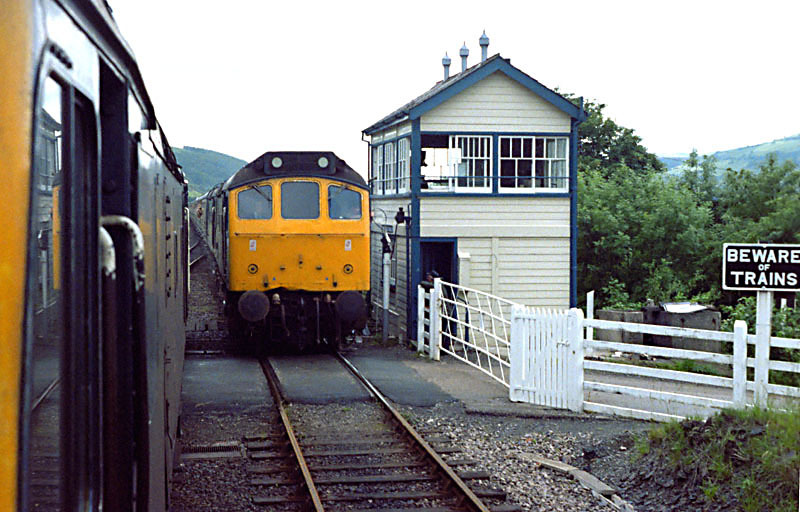 Dovey Junction station. 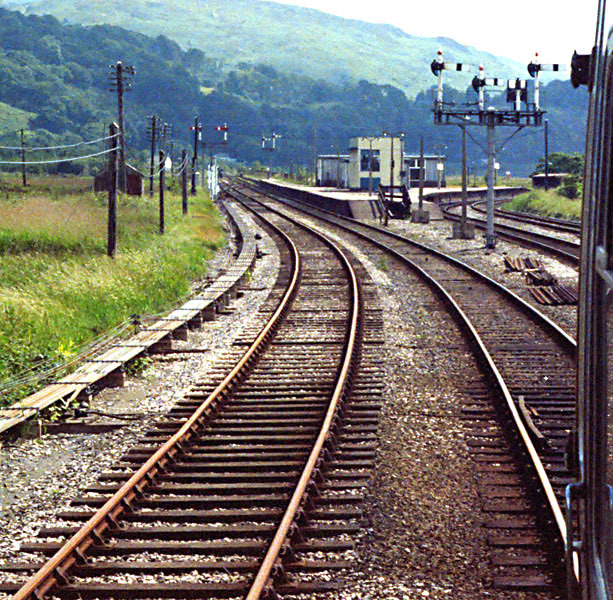 To the left is the Aberystwyth line, while the Cambrian Coast Line diverges to the right. 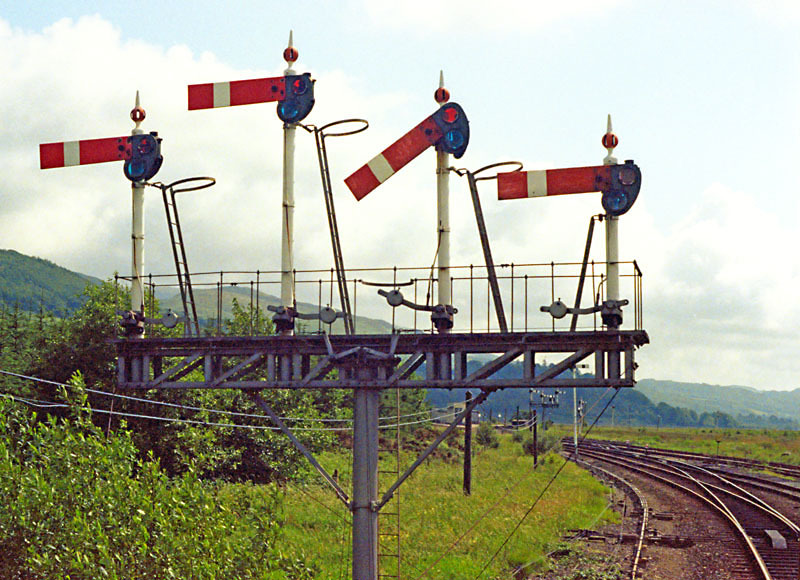 The impressive four-arm junction signal, cleared for my train to enter the coast line platform. ...and so did the advanced starter! 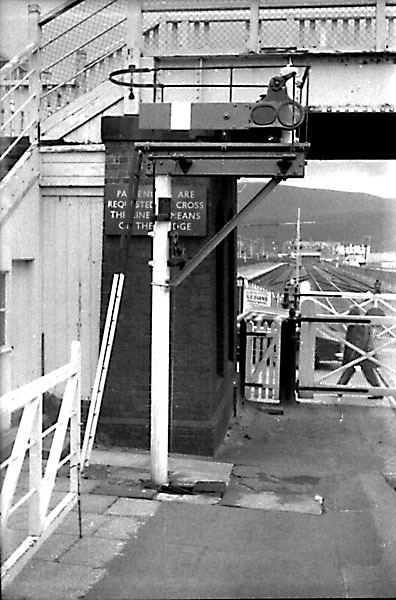 The up platform starters, cleared for a coast line train towards Machynlleth. ...but with a metal arm, as this rear view clearly shows. 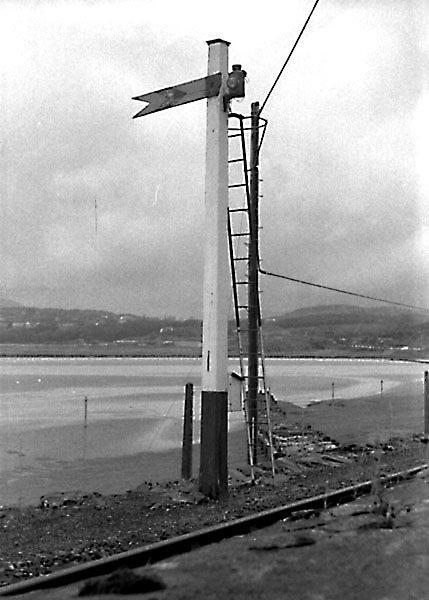 Another bay starter, this one for Barmouth North's down bay. Since our previous visit, however, South's up home on the footbridge had been replaced with this squat little upper-quadrant. The view south towards Llwyngwril. 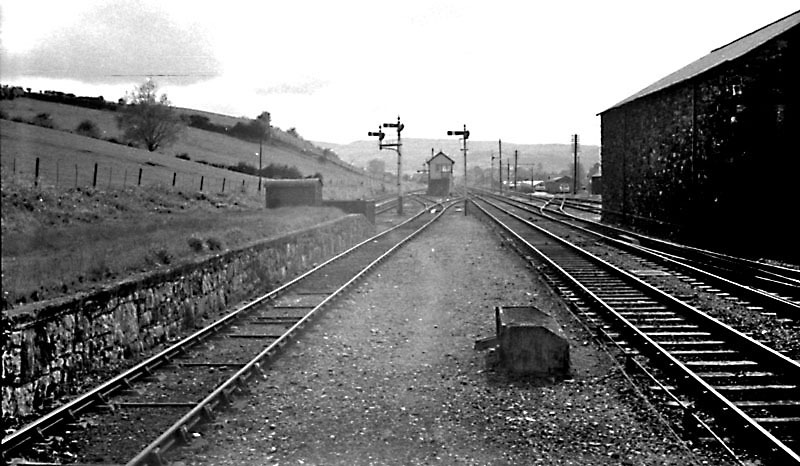 The up bay on the left, which would previously have been used for Bala-line trains, was still in use at this time. 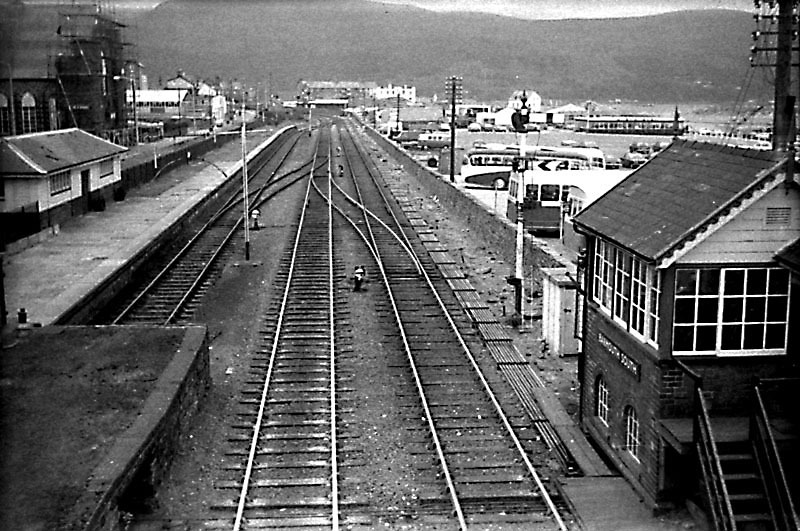 The view through the station to Barmouth North at the other end. 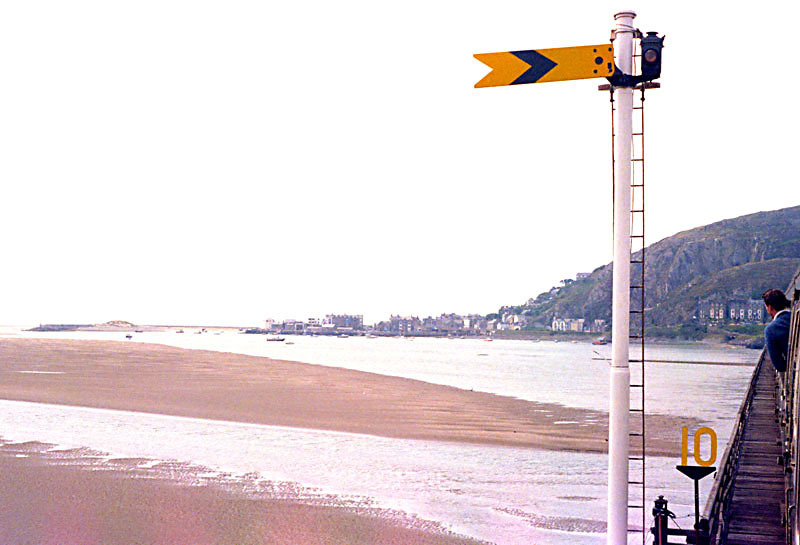 The down distant, towards the far end of the famous Barmouth Bridge. 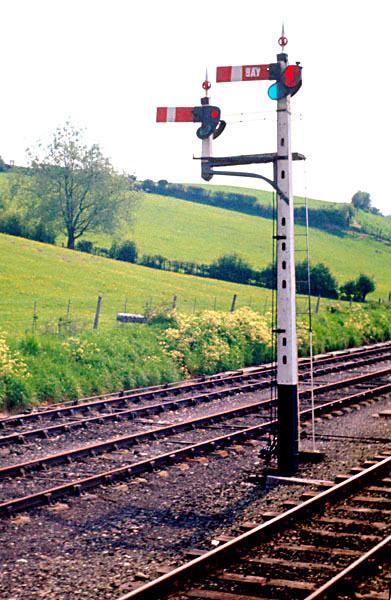 ...so the slotting on the post that controlled the distant had to have four counterbalance levers instead of the usual three, because the advanced starter lever in the signalbox also had to be backslotted. 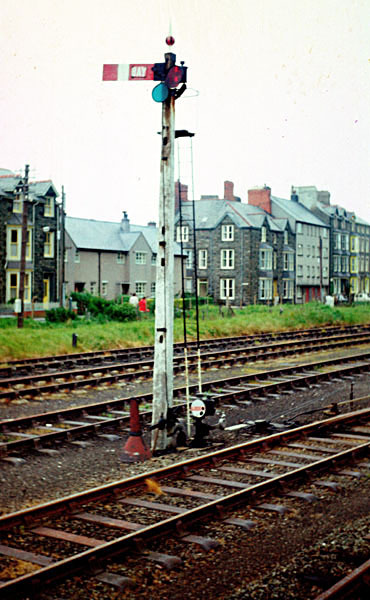 The counterbalance lever nearest the post was connected to the starter arm via the down-rod running upwards from it. The next one was connected to the distant arm, and therefore had its weight on the left-hand side of the bearing pin. 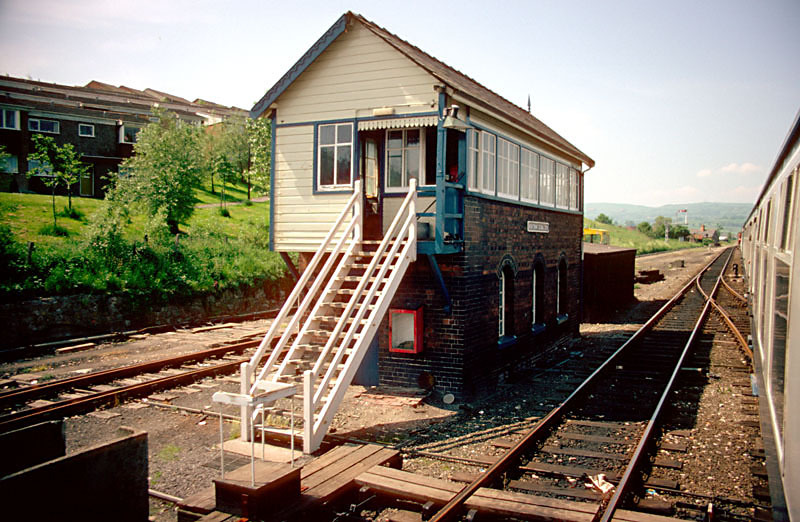 The two levers furthest from the post were operated by the advanced starter lever in the signalbox and the distant lever worked by the crossing keeper. 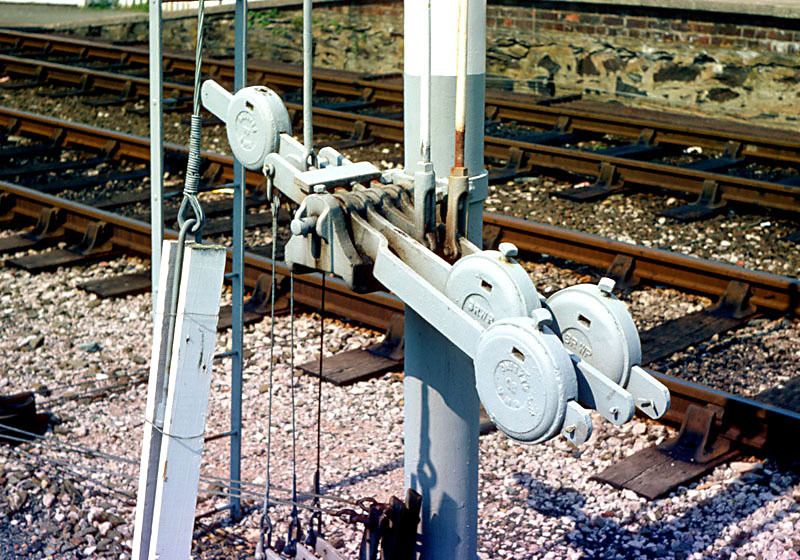 The metal cross-piece that spans the levers to the left of the bearings was also welded to the distant's counterbalance lever, preventing it moving unless all of the other three levers had been operated by their respective signal levers. 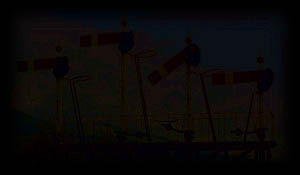 But when they were, the weight on the distant arm's lever would then drop and thereby clear the distant. 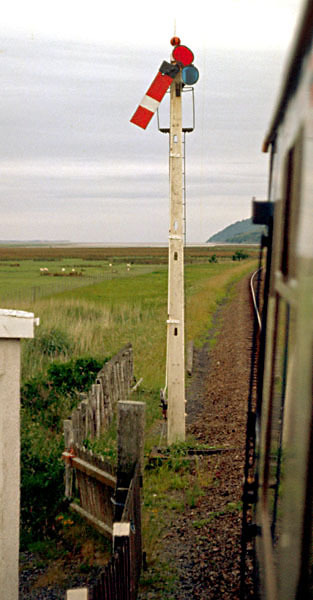 The down-rod to the left of the signal post, and connected to the third lever from the post, was connected to a "slot on/off" indication sensor. 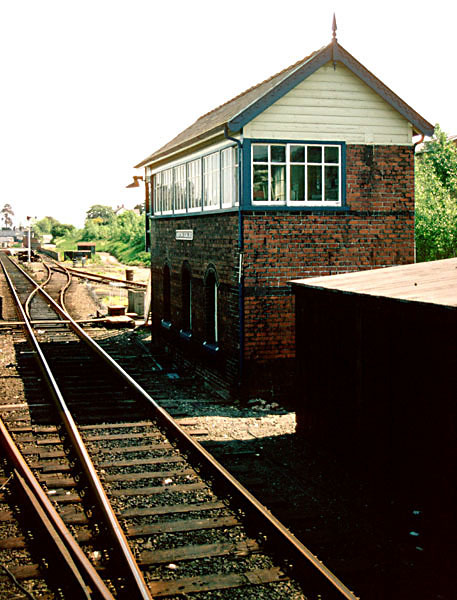 The south end of the station. 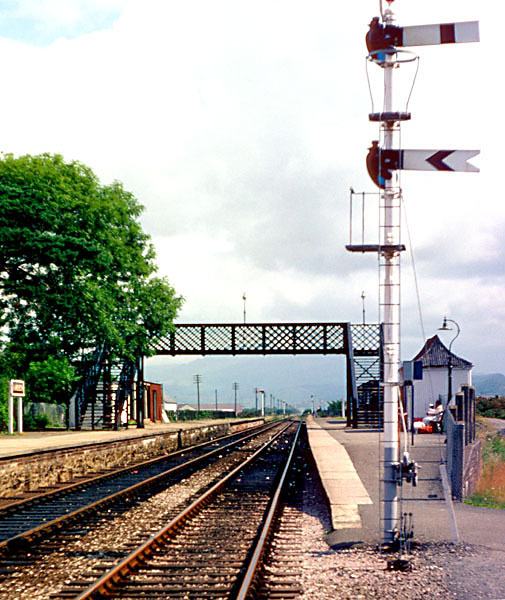 The opposite end of the station, looking towards Penrhyndeudraeth. A rear view of the down inner homes, looking back towards Harlech. 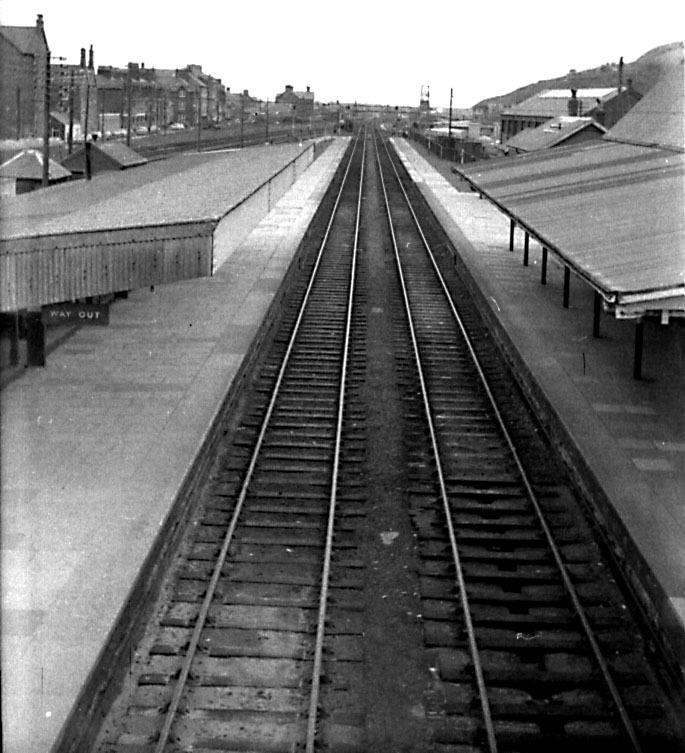 The station here only had one platform, so the loop was only signalled for goods trains. 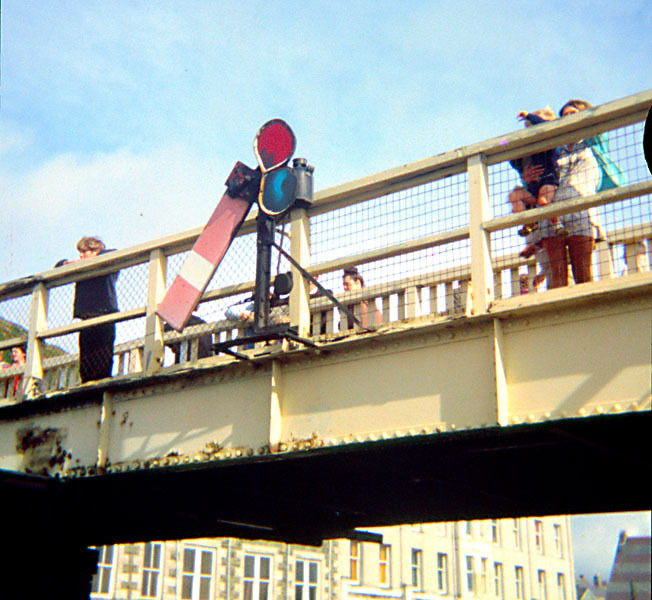 The same signal viewed from its front. 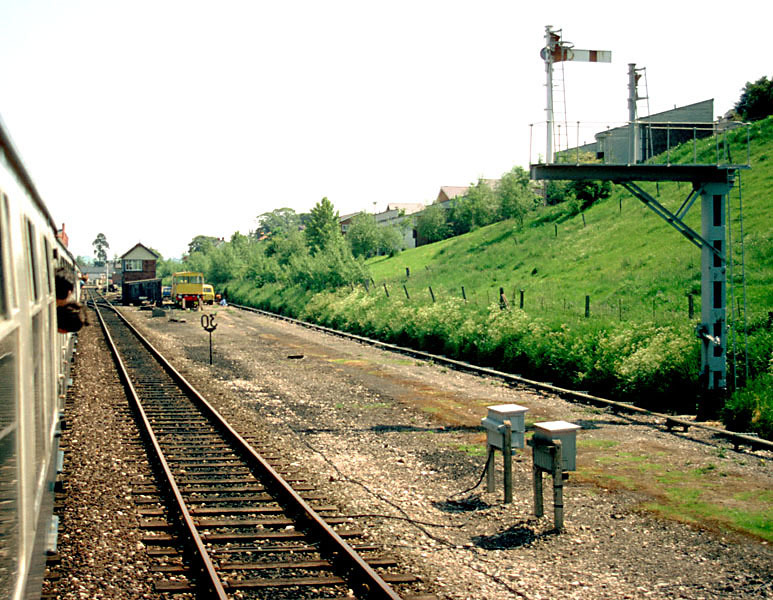 The station, with the famous gunpowder sidings on the right. 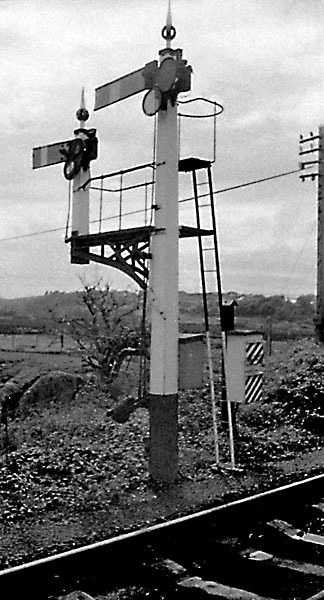 The down home and up advanced starter - another pair of signals combined on a single post. 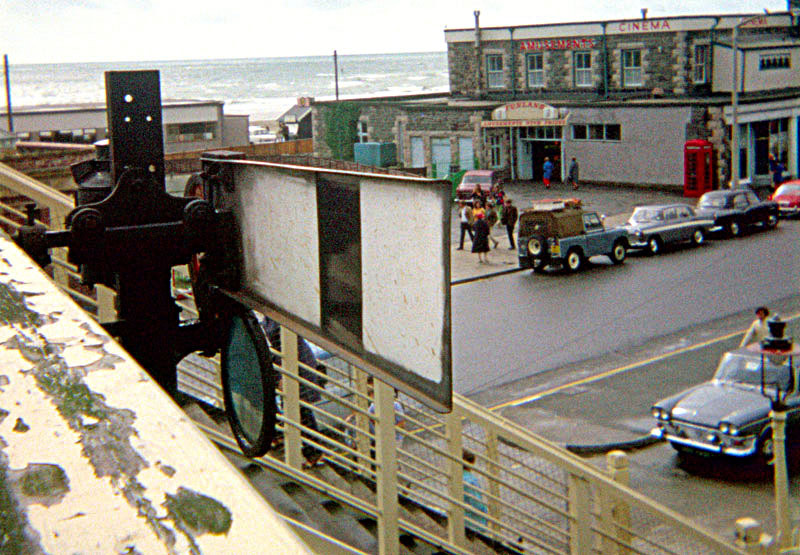 There are more vintage Cambrian photos at www.2d53.co.uk.